Apptium Technologies, our customer, is a technology and management consulting company that helps global broadband, wireline, and wireless communications service providers boost their productivity. This company has offices in USA, Canada, and India. 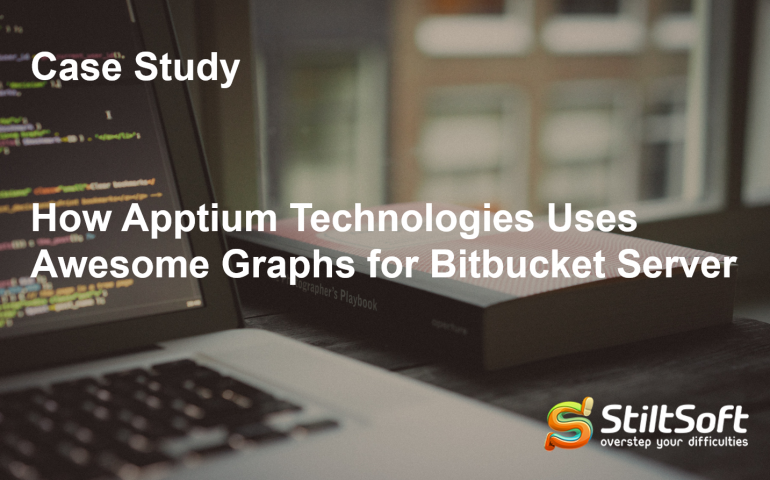 The team of Apptium Technologies actively uses Atlassian Bitbucket for team collaboration. This way they can build and ship software to their clients that use Apptium application as Platform as a service (PAAS). 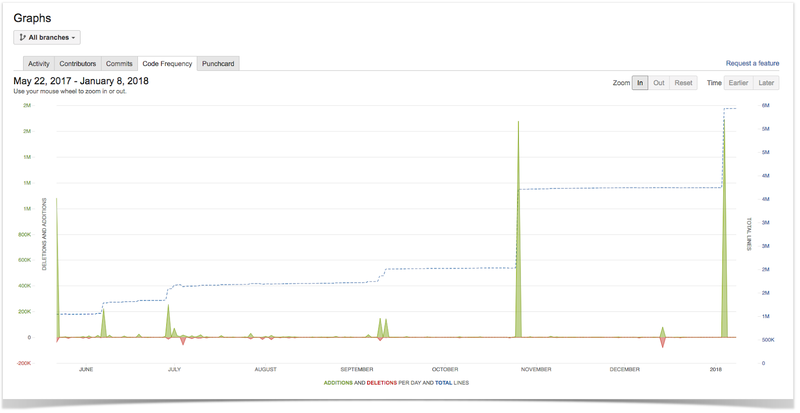 They decided to extend the Bitbucket Server functionality by installing our Awesome Graphs app. Our customer has around 25 projects going parallel. Each project has its own Dev, QA, Prod environments with around 15 repositories. All team members use the Awesome Graphs app to track and monitor their project and repositories with visualized statistics. Let’s see what features and capabilities of this app the Apptium team uses most. As an Agile software development team, Apptium wants to track down issues and daily updates of the tasks assigned in their sprints. To achieve this goal, they use the Activity graph that shows the existing commits and pull requests through the selected time span at the project level. So this graph features activity in all project repositories. 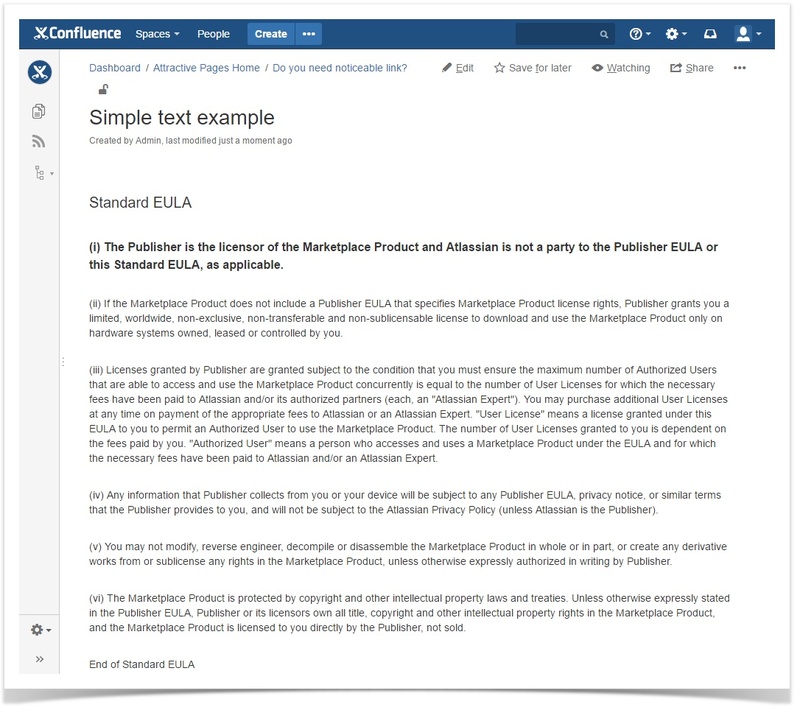 Our client can also check the activity stream with the links to the associated Jira issues, sub-tasks, and backlogs. This way they can easily track daily updates for their current Jira tasks. 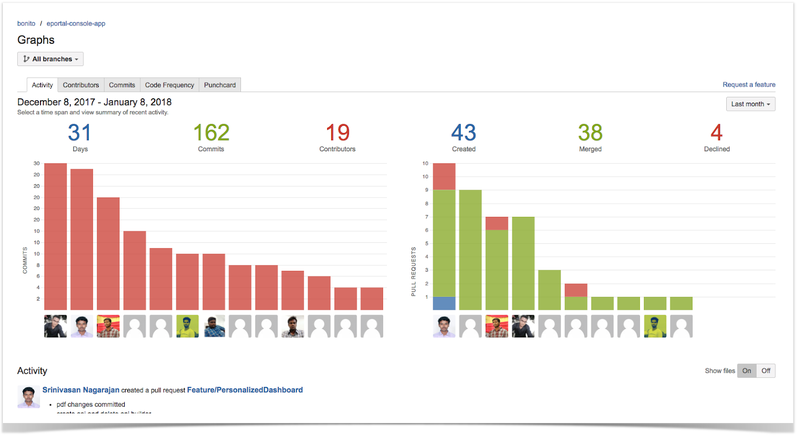 The Contributors graph helps the Apptium team to evaluate the code committed by each person in a sprint. They can compare the input from different team members with a help of a summary graph of the contributions made by all developers and evaluate the number of commits and lines of code added and deleted by each developer. Using this graph, the Apptium team can quickly evaluate team’s performance and analyze the critical points along the year. 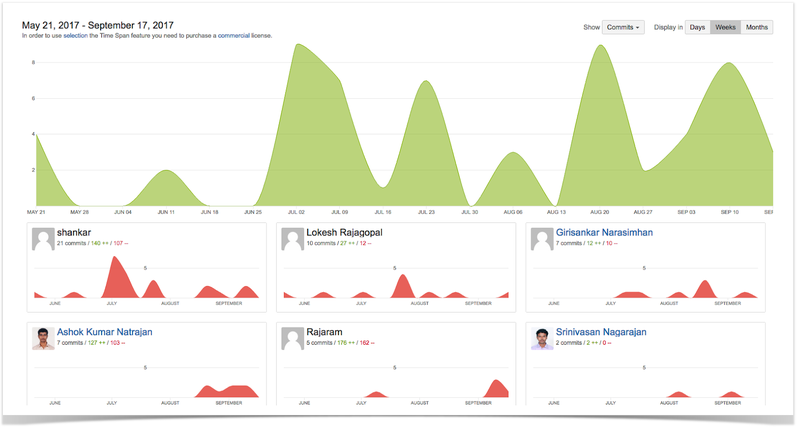 The Code Frequency graph allows Apptium to evaluate the project history and code quality. The team members can watch the dynamics of their projects in terms of lines of code. This way the Apptium team can have a birds eye view of the whole project from its start to the current week in one graph. Apptium Technologies also uses the Commits graph to pull out the report on commits made to repository every week (each bar represents one week). So they can compare their estimates with the real work done and plan their work on the projects ahead. This useful graph provides our client with an overview of their team activity. capture trends and identify bottlenecks. Apptium Technologies now can quickly evaluate the performance of their Development, QA, and Production teams. The insights they receive using our handy tool definitely help them deliver the best service to their customers all over the world.